An implant can be an optimal option to restoring your smile or a single tooth loss. A dental implant will replace the entire tooth, from the root to the crown. 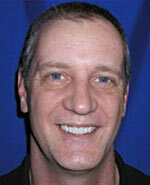 We are even able to regain an entire smile through the placement of implants and crowns. The placement of an implant can be the best option when needing to restore the area of a tooth loss. When an implant is placed it adds support. When a dental implant is a treatment option call us and Dr. Heinrich would be happy to consult with you about all your treatment options and ensure that the placement of an implant is the right option for you.